Quick-witted, unpredictable, nimble and extremely talented - Gordon Strachan OBE has left an indelible impression as one of the greatest Scottish football giants in history. Currently serving as the manager of the national team of Scotland, his career kick started when he played for a number of leagues as the right midfielder, including Aberdeen, Dundee, Leeds United, Coventry City and finally, the Scotland National Team. He is the proud recipient of numerous accolades and awards. His long and illustrious career is dotted with 635 league games, in which he scored a total of 138 goals including 2 at the FIFA World Cup and earned 50 caps. After retiring from football at the age of 40, he became the full-time manager of Coventry and led the team through a number of leagues to FA Cup Finals. He then became the full-time manager of the Scottish Premier League and has also been inducted into the Scottish Football Hall of Fame. 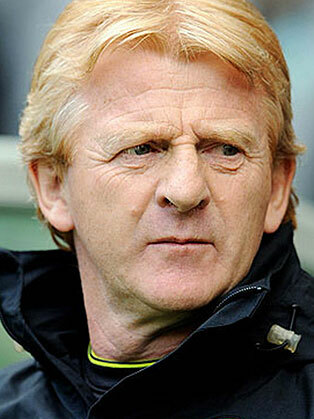 He is the father of footballers Craig and Gavin Strachan, who are also famous in their own right. Apart from his job as the team manager, he is a regular pundit for the ITV’s coverage of the FA Cup and is involved in countless humanitarian projects.